Every month we give away a prize to the reader who submits the best owner review. Over the course of August we received hundreds of Owners' Reviews. Some are full of praise, while others are not so kind. However, we read every single one and reward the best of the month with an iPad Mini. Here’s this month’s best Owners' Reviews. For the best reader review in September we're giving away another iPad Mini, so if you want to be in with a chance of winning head to the owners review section and submit yours now. 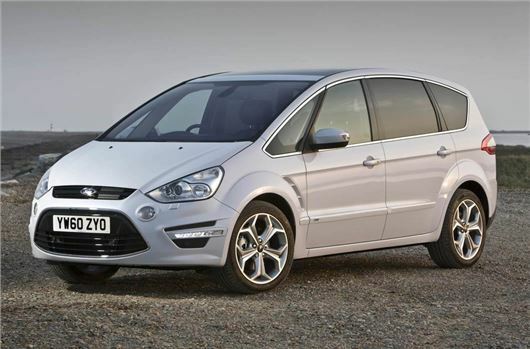 This month’s best Owners’ Review is NOMAG’s assessment of his Ford S-Max. The HonestJohn.co.uk user goes into great detail about his car, covering all of the pros and cons of life with the Ford. He also gives superb insight into the S-Max's suitability as a family car, with analysis of the engine, cabin and servicing costs. HonestJohn.co.uk user ‘Phil’ bought his Mazda CX-5 to replace his Land Rover Freelander. His review is witty and light-hearted, with comments on the CX-5’s interior space, comfort and road handling. ‘Lukepilot152’ might just be 17 and a new driver, but his youth hasn’t prevented him from writing an impressive review of his Mitsubishi Lancer. The young driver tells us about his reasons for buying the Mitsubishi and also compares it with similar cars he tested before purchase. ‘Michael Powell’ gives a frank and honest assessment of life with his Bentley Continental Flying Spur. Although he’s clearly passionate about his pride and joy, he gives the ups and downs on life with a big, luxurious car right down to the Bentley’s fuel economy and awkward parking ability. Few reviews go into such depth as ‘Jovacastle’. Indeed, this HonestJohn.co.uk user gives a complete review of the Nissan Juke, with breakdown points for driving, standard equipment and ride comfort. If you think you've got what it takes to win Owners' Review of September then click here for details on how to enter.